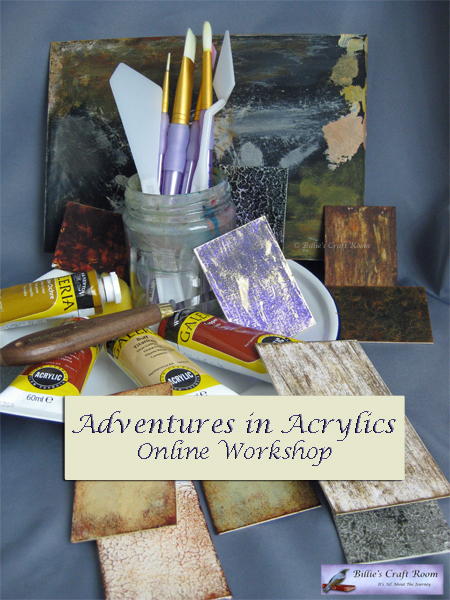 As part of the Adventures in Acrylics online workshop series, I’d like to share a way to spice up your existing colour palette. This time with the help of metallic colours. If you are a colour magpie like me, and would love all your favourite colours as metallic or interference colours, there is an affordable way to do this. In today’s tutorial I’ll share another way to achieve this. Earlier in the series, I showed how to use interference paint to take a regular palette of colours and give them a mica flip. This is another option to take your colours and transform them into metallic colours of any hue. Mix a small amount of metallic paint into your chosen colour. 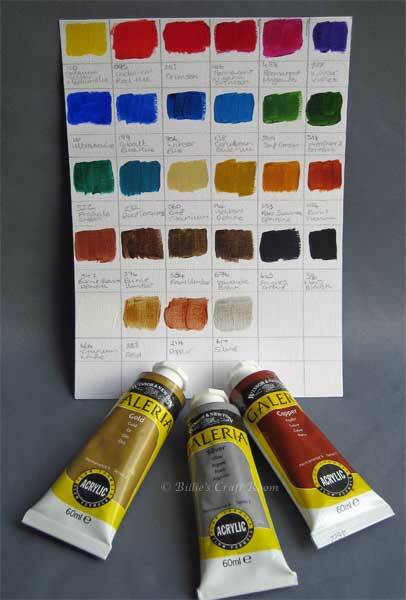 If the colour you are mixing into is opaque and over powering the metallic, work in the other direction. Starting with the metallic colour and adding just a touch of your straight paint colour until you get the depth of colour you like. The metallic colour shows up best on or over darker colours and surfaces. Experiment applying thin washes of metallic colour over surfaces painted in dark colours. Try painting your surface in the metallic colour and adding a thin watery wash of colour to it. This will produce a more matt effect, but the metallic will show through more transparent colours. Thanks for letting me know, sorted now. Sorry with going to the dentist I completely forgot to change the settings on YT.